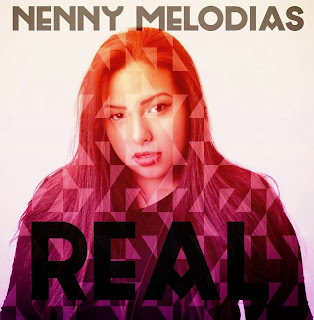 Real is the first promotional mixtape release from Nenny Melodias. This tape is a combination of R&B styles with a spanish twist; with a total of 11 original songs including a cover of "Gansta" performed by Kat Dahlia. Hit after hit, Nenny Melodias continues to astounish her audience with her song compositions and diverse music styles. Unlike other vocalists, Nenny does not stick to one music genre. Although her heart lies with R&B music she takes full advantage of the fact that she was raised in the arms of hispanic traditions. With radio hits like "Complete" featuring Mr. Klutch and "Lets Dance" featuring Notes the Poet, REAL is a ground shaking, heart throbbing and barrier breaking project.